The Taj Campton Place has introduced the “San Francisco Fashionista” package. Included are a four-hour, personalized shopping excursion from Glamour Girl Shopping Tours to places such as hidden showrooms and Hayes Valley boutiques for discounts of up to 80 percent off retail. The package also includes a shopping gift bag. 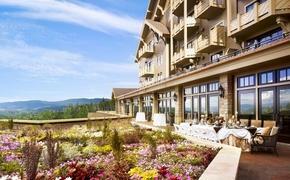 Priced from a nightly room rate of $375, the package is valid through Sept. 1, 2012. Additional nights are available.